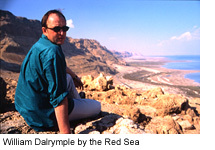 A chance encounter at a monastery in the Sinai Desert inspired William Dalrymple to carry out a fascinating investigation into the little-known legend of the spread of Christianity in Southern India. In the secluded St Catherine's Monstary, William came across the 1500-year-old Acts of St Thomas, the apostle of Jesus often known as 'Doubting Thomas'. The Acts contained details of St Thomas' epic journey from Palestine to the Asian sub-continent and his subsequent mission to spread the faith. Scholars have long-debated the story of the hazardous trip and William sets out to prove that St Thomas did, indeed, make the journey to India to spread the Christian message of faith. He follows the route that St Thomas is likely to have taken - from Jerusalem to Elat and from there across the Arabian Sea and 3,000 miles of hazardous sailing to the Malabar Coast of south west India - once a wealthy haven for major spice traders from Europe and Asia. 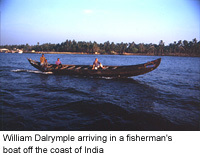 At Kerala he gathers evidence from an Australian spice trade expert Dr Jack Turner, reminiscent of a latter-day Indiana Jones, who confirms that, because of the proliferation of the spice trade: "This is the period when it would have been easiest for Thomas to come to India. In fact it would have been easier, safer and probably cheaper than at any time for the next 1,500 years." Say William: "The lure of spices meant that there was a thriving ex-pat community of Romans and Jew who Thomas could try to convert." And convert, it appears, they did. On his journey along St Thomas' path William encounters strong evidence of the saint's work. Churches, now bearing the indelible mark of the Portuguese form of Christianity after they imposed themselves on the spice trade in the area, still also carry signs of St Thomas' influence. Behind an altar displaying a Westernised statue of Christ at one Christian church, William discovers a fresco of a tanned, bearded, Middle-Eastern-looking St Thomas. A mild diversion on his travels comes in the form of a group of dancing nuns. 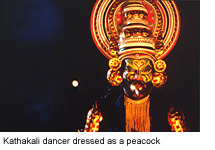 They perform an intricate dance for William which has been handed down over the centuries by the followers of St Thomas. The dance tells the story of St Thomas' mission in India and was borne out of the destruction by the Portuguese invaders of all St Thomas' original manuscripts and Christian teachings. 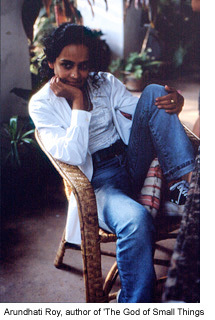 He also meets Arundhati Roy, the best-selling author of The God of Small Things. 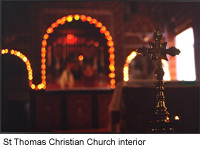 At Kottayam, the capital and stronghold of the St Thomas Christians, William finds that the mass is still celebrated in the ancient Aramaic language used by both St Thomas and Jesus. Says William: "Not only is Kottayam full of lay Christians, it is also packed with monasteries and seminars. While the Christian churches of Jerusalem and the West are slowly emptying, those in India are flourishing more than ever." On to Mylapor, a temple town on the outskirts of Madras where St Thomas died, 20 years after he first arrived in India. Seen as a threat by the local Hindu raja, St Thomas was killed by a band of his soldiers. A tiny chapel stands on St Thomas' Mount, just outside the city. It was built on the site of an older monstery which was erected to mark the saint's martyrdom. Says William: "While Christianity has never been a major faith in India, it is a religion with incredibly deep roots in the soil and one which has clung on with remarkable tenacity despite the odds."